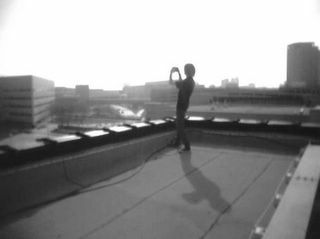 A very cool shot of me shooting from the roof of John King books. This was taken on the first shoot in the city Gina came along. Something about the hazy quality of the images is kinda cool, almost a security cam vibe. Photo by Gina, camera phone image.